OUR SAUNTON BLACK NOVEMBER OFFERS HAVE NOW ENDED. We’re pleased to extend some fantastic offers to our customers this November which will make fabulous Christmas gifts, special treats for friends and family or just because. 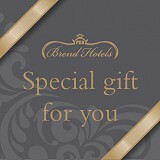 Please scroll down past our vouchers to view our selected offers which are all bookable by the 30th November. Please sign me up to periodic email marketing newsletters and offers. You can unsubscribe at any time.